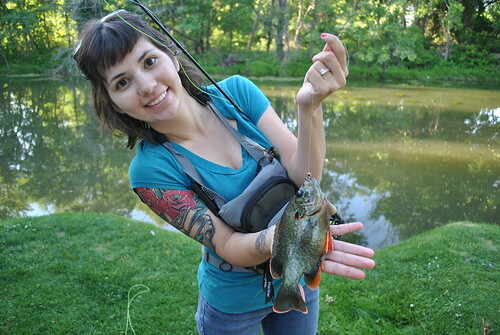 Blue Gill on the Fly: Mayday, Mayday! 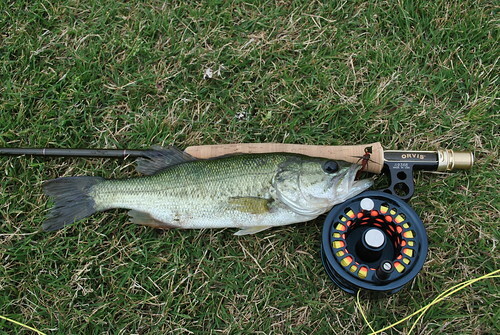 This weekend was busy with my Grandmothers 80th birthday and the accompanying festivities. 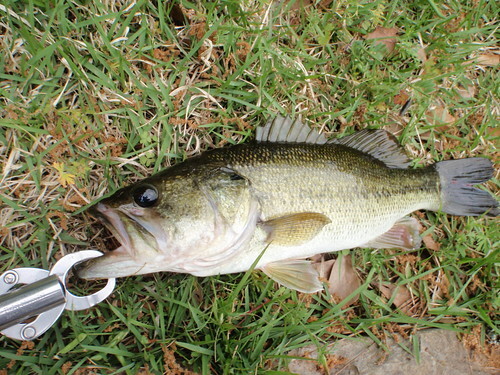 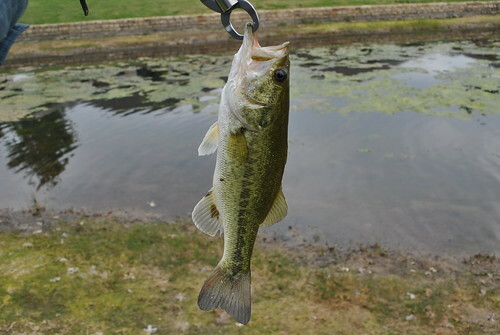 On Friday I left Dallas and hurried eat to Tyler State Park where I actually managed to catch a couple nice bass despite the rain, as well as a Warmouth, a first on the fly for me. 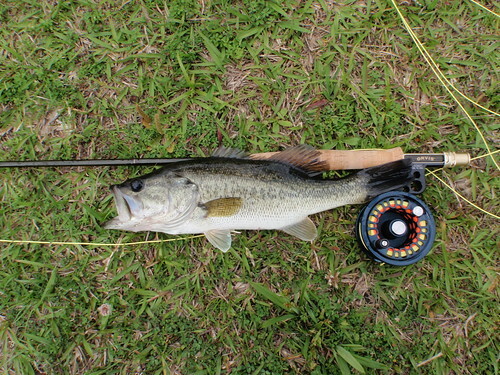 The first one put up a good fight, wedging itself in some moss, forcing me to gingerly raise the rod with just enough force to dislodge it, but not dislodge the size 12 Bully's Blue Gill Spider that he took. 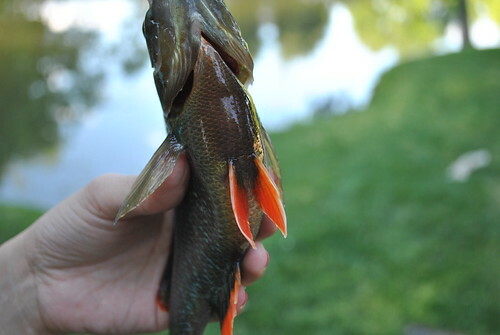 Happily I was also able to catch the previously mentioned Warmouth. 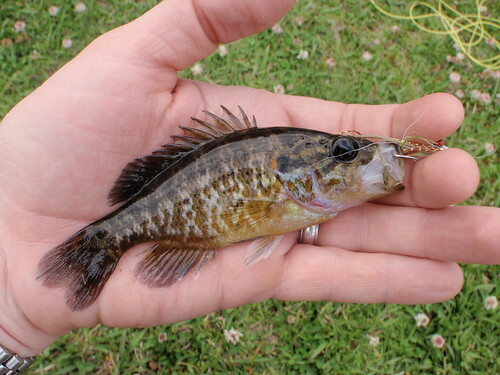 More like a minnow, but still a species on my "checklist"
On Sunday I woke up and after scuttling plans to make a run up to the Blue River, I instead left my better half snoozing and went to one of my usual spots in Garland and caught a couple small bass before lunch. 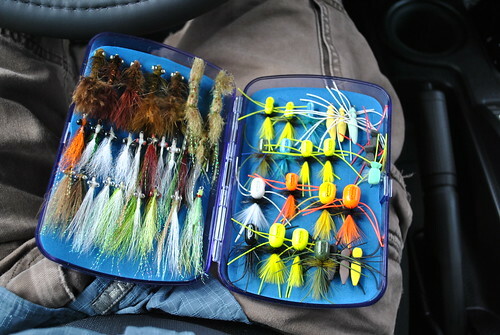 The once nice pond is quickly becoming a fetid bog, I had to de-gunk my fly before every cast. 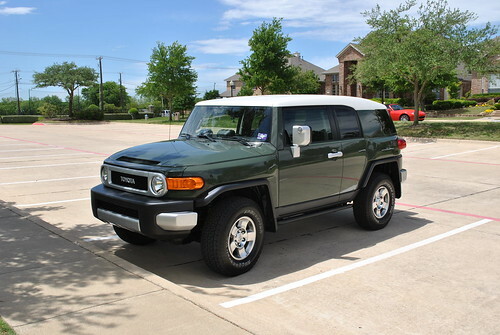 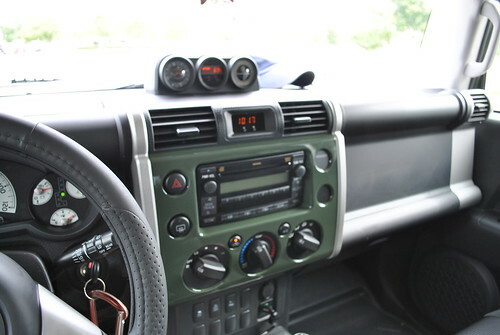 I also managed to take some pictures of the new FJ Cruiser Emalie and I bought recently. 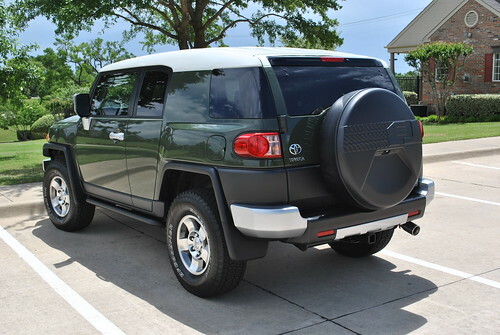 I am more than a little proud of my first new car in 10 years! 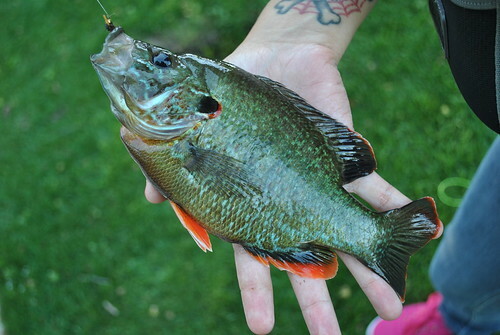 Obviously a hybrid of some sort, with alot of greensunfish in the genes as well as some Redear?